This is only my second post of 2014, but also my last of the year – I guess it hasn’t been a very blog-y year for me. But before 2015 begins, I wanted to briefly record the books I read in 2014. I was under the impression I hadn’t read much, but as I cycled through titles in my head, I realized that there was a tidy little collection. I started the year off by discovering Rebecca Solnit and read A Field Guide to Getting Lost and then The Faraway Nearby and have been stockpiling her books since, saving them for the right time. I started The Faraway Nearby the day of a medical procedure and my doctor asked me if I’d been reading anything interesting and I tried explaining the book to her while woozy on drugs. I don’t think I made any sense, but I’m not sure if I would’ve been able to explain it any better under more sober circumstances. I read Dept. of Speculation by Jenny Offill. 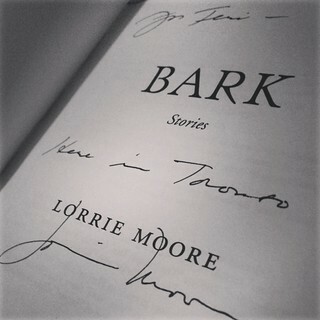 I read Bark by Lorrie Moore, and then saw her read in Toronto. Her smoky voice. I read Art as Therapy by Alain de Botton and John Armstrong when things didn’t feel so great and then I wrote about it over at The Rumpus. That’s a picture of us standing on Richard Serra’s Shift. 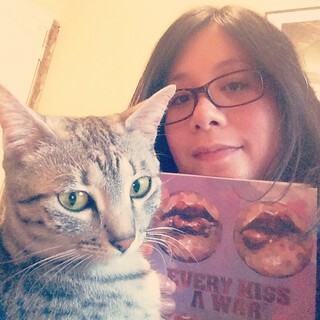 I read Leesa Cross-Smith’s Every Kiss a War, although maybe reread is a better word since I’ve been reading drafts of these stories or seeing them in literary magazines for almost as long as I’ve known Leesa. She has always been such an inspiring writer, the way she writes about the things she loves so perfectly: messy relationships, Kentucky, eyeliner, love love love. I read The M Word: Conversations about Motherhood edited by Kerry Clare when I suspected I might be pregnant. I wasn’t sure because it was still too early and I could barely admit it to myself anyway. I’d been in that situation before and normally would avoid any book that might make me think directly about motherhood, but the beauty of The M Word is that it’s about all different facets, from choosing to be a mother or choosing not to, having children or not having them, the difficulties and joys of being a mother or not being one. It was a comfort to read during those days. I would be okay no matter what, I realized. And then it turned out I was pregnant and first trimester exhaustion got the best of me, so I didn’t read much for a while. I think this is why I don’t think I read a lot in 2014, because of those weeks where I went to bed early and felt a little foggy and nauseous. In those early weeks I went on a writing retreat on the Toronto Island for a few days with Soraya, and I don’t remember what I read while I was there either. Maybe I didn’t read much of anything? I did write, though, and we had a huge classroom to ourselves. I worked on a story and she worked on an essay, and we walked around a lot, and one night we watched “Flashdance” as research for a piece she was working on. The movie definitely doesn’t count as a book but is the only thing I remember consuming while we were there, and then reading Soraya’s essay on Flashdance was something I did a few times in 2014. 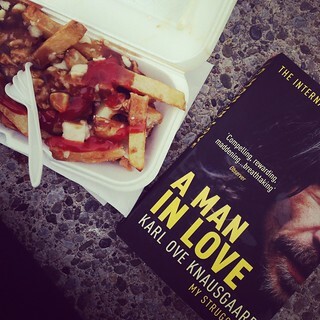 My energy and reading stamina eventually came back and I read Karl Ove Knausgaard’s A Man in Love after spending most of the year rolling my eyes every time I heard a mention of him and his “struggles”. When I actually started reading the book, I loved it. I read the second volume first and am only now finishing the first and I have the third ready to go for the new year. I wrote about it over at The Millions, along with two other books I read this year: 10:04 by Ben Lerner (mostly read at the beach while on vacation in Charleston) and Friendship by Emily Gould. I saw Knausgaard at the IFOA in the fall and when I got my book signed I told him what I’d written in that Millions essay, that I’d found myself using his book as a pregnancy guide, and he laughed like, oh no. While Andrew and I were in Charleston, we took a day trip to Savannah, Georgia. The Spanish moss in Savannah is even more dramatic, and it had been raining that day so even when the rain stopped, drops kept falling off the moss like drizzle. Flannery O’Connor grew up in Savannah and they turned her house into a museum. I popped in just to have a look while Andrew took a walk, and then a tour started and since there were only 3 other people and I was the only person who had actually read her books, I realized I couldn’t duck out. The guide, who lived upstairs, locked the door and then walked us through the small rooms. On the second floor I looked out the window and Andrew was in the square below looking up at the house, slightly confused. He saw me. “What are you doing?” he asked. “I got trapped on a tour!” I said. Neither of us actually said these things, but there was a psychic exchange. 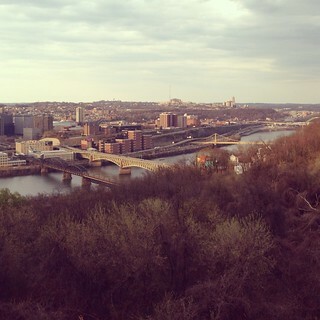 The tour, in the end, was interesting. 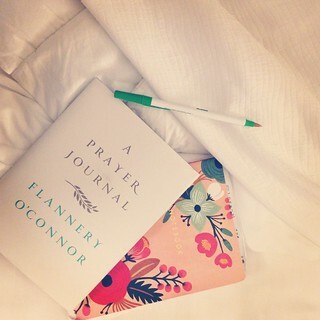 I left with a copy of A Prayer Journal, but I haven’t read it yet. 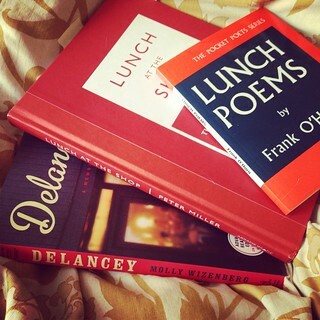 I read a bunch of food and cookbooks for my Bookslut column. My favourites were Peter Miller’s Lunch at the Shop, Rawia Bishara’s Olives, Lemons & Za’atar, Ava Chin’s Eating Wildly and Shawn Micallef’s The Trouble with Brunch, which I got to pair together in one column. I read Gillian Sze’s beautiful collection of poetry, Peeling Rambutan, after reading at her Toronto launch. 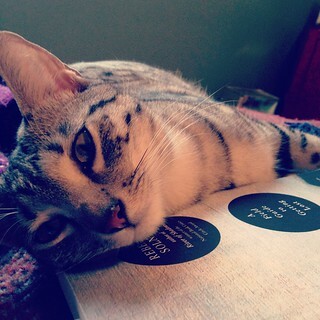 I hadn’t done a reading in so long and was grateful that she’d invited me along; it felt good. I read stories from How Does a Single Blade of Grass Thank the Sun? 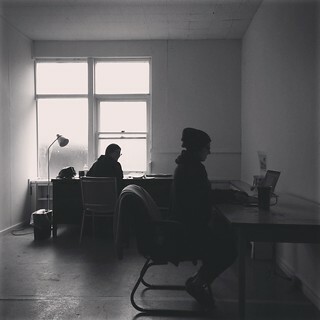 by Doretta Lau while waiting for various doctor appointments in the late fall. I read Angie Abdou’s Between, which I enjoyed not just for the book but because it made me think thoughts about Filipino caregivers. I turned those thoughts into an essay which will be published shortly in Ricepaper Magazine. I also can’t forget Lila by Marilynne Robinson, maybe the book I was most looking forward to coming out in 2014, and of course it was the most gorgeous thing, every single word. 2014 was such a funny, memorable, intense year. 2015 will be even more so. I will keep you updated. This entry was posted in 2014 Scrapbook. Bookmark the permalink. I would love to know if there were any other mother/pregnancy related books you read. Let’s see! I read Anne Lamott’s Operating Instructions, Jessica Valenti’s Why Have Kids and Rachel Cusk’s A Life’s Work – they were all useful in their own ways. I’ve found the birth stories in Ina May Gaskin’s Guide to Childbirth interesting as I get closer to labour and am thinking about pain, etc, although I wasn’t super into the book in early pregnancy. I got The Birth Partner for Andrew but found it more interesting for myself. motherhood is the novel A Big Storm Knocked It Over by Laurie Colwin tho – it’s perfect. Also, I didn’t mention it in my entry but part of the reason I loved Lila so much was because of the passages about her pregnancy. Thanks, Teri! I love love love Jessica Valenti’s Why Have Kids. The thought of you trapped on that tour, and also the visual image of you and Andrew having the psychic exchange, is making me laugh so hard. Lololololol – it still makes me laugh too!